Automatic espresso machines are intended to bring the art of espresso making to a wider audience of people. It does so by making the process of making high-quality espresso simpler and in many cases, more cost-effective than it may have been in the past. If the person takes their time to find out what constitutes a great espresso drink and if they buy the right machine, then they should be set. Of course, it isn’t always easy to find a machine that’s perfect for the person using it. There are a variety of factors to consider including price, features, cups it brews and so on. Which is why we’ve decided to simplify the process for you and give you some of our recommendations for buying one of these miraculous devices that bring espresso into the homes of the masses. Regardless of whether a coffee drinker wants a latte, a cappuccino or an espresso, this machine is up to the task. That’s because this semi-automatic 3-in-1 machine can handle all those coffee drinks quickly and effectively. 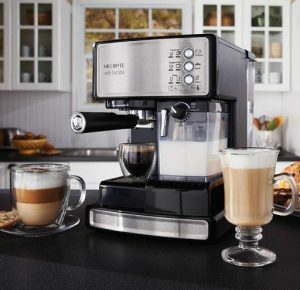 It features a 15-bar pump system and a one-touch control panel that makes it easy to whip up a great coffee. It also has removable water and milk reservoirs and has an automatic milk frother that allows anyone to add a little froth to their espresso. This machine makes it easy for the user to brew great espresso and allows anyone to make coffees like a pro. This machine is easy-to-use and easy-to-clean. Once set up, the average person can start making great espresso within a minute of adding coffee beans. That’s because it uses a fast heating Thermoblock system that not maintains proper water temperature but heats the water quickly in the first place. This system has a 15-bar pump pressure system and can make single shots or double shots thanks to its two stainless steel portafilter baskets. It also has a removable water tank for easy filling and cleaning and comes with everything needed to make a great espresso. It doesn’t matter if the user wants to make an Italian espresso or a Macchiato, this machine is ready to work. This automatic espresso machine allows coffee drinkers to bring professional quality results to their espresso making endeavors. Equipped with a high-quality conical burr grinder with an adjustable grind fineness, the user can ensure they are using the freshest grounds possible. It has a control panel which allows users to set up their favorite espresso drink by rotating the dials and pushing buttons. This machine also has frother that mixes milk and steam to create a fine and delicate froth. With this machine, the homeowner never has to spend top dollar to visit an expensive coffee shop for their morning espresso. For a price that is less than what some brands charge for only an espresso machine, this bundle pack features both an espresso maker and an Aeroccino 3 milk frother. The machine can brew either cups of coffee or espresso using Nespresso Vertuo capsules. With the touch of a button, the operator can make espressos, double espressos, coffee, gran lungo and alto coffees. 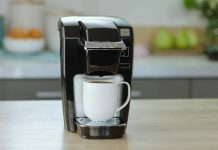 It uses a patented centrifuge extraction system which turns the Nespresso capsules into high-grade coffee products that are sure to impress friends and family. Each bundle also comes with 12 single-serve coffee capsules to get the coffee enthusiast started. Equipped with a precision built-in conical grinder, a 15-bar Italian pump and a 1600-watt Thermo-coil heating system, the operator of this machine can rest assured that they have all the power they need to make espresso drinks at their fingertips. It has a precision dosing tool and a PID digital temperature control that accurately sets water temperature. This ensures that each cup of coffee is extracted with precision. And it uses a low-pressure pre-infusion system to ensure even extraction. With volumetric controls, the operator can program this machine to deliver just the right amount of espresso each and every time. This machine uses dual stainless steel boilers and high quality dual Italian pumps to deliver both high-quality extraction of the espresso from the grounds but also for making steam. This unit features an over-pressure-valve for safety and uses an electronic PID temperature control that allows the machine to maintain just the right temperature for espresso extraction. Another feature found on this semi-automatic espresso machine is a low-pressure pre-infusion that ensure that the essential oils and flavors are properly extracted from the coffee grounds. And all of these features come together to allow the operator to brew an exceptional cup of espresso. This machine proves that you don’t have to spend a fortune to create an exceptional espresso. This unit can deliver a single serving of either coffee or espresso using Nespresso capsules, and it’s patented extraction system which uses up to 19-bars of pressure. It’s capable of reaching optimal brewing temperature in under 30-seconds, and it will automatically switch itself off after 9-minutes. With this espresso maker, the user can adjust cup size into one of two programmable cup sizes: espresso or lungo. As an added bonus, this machine also comes with 14 capsules which give the user a number of exciting coffee styles. This machine may have a compact size, but it delivers full-size performance. It features a 19-bar pump system that allows it to perfectly extract the flavor from the Nespresso coffee capsules that have to be used in it. This unit can heat up to operating temperature within approximately 25-seconds and can produce one of two different sizes: espresso or lungo. Featuring a 34-ounce water tank that is easily removable, and a convenient drip tray, this unit is very easy to clean. And it also has an exciting energy saving feature that turns the machine off after 9-minutes of inactivity. If necessary, this automatic shut-off feature can be extended to 30-minutes. This machine is compact, easy-to-use and has a very stylish design that allows it to be attractive on just about any countertop. It uses a pressure pump that delivers 19-bars of pressure and Nespresso capsules to deliver a great tasting cup of espresso. This ultra-light espresso maker has a 20.3-ounce water tank and has two programmable buttons—one for espresso and one for lungo. In under 30-seconds, this machine is able to come to operating temperature and can make a cup of espresso in only a few minutes. After about 3-minutes, the machine automatically reduces its power consumption to save energy and after 9-minutes shuts off completely. Which means its one of the more energy-efficient espresso machines as well. Everything the hurried espresso fan could need can be found on this machine. It has a 19-bars of pressure pump that unlocks the flavor found in each Nespresso coffee capsule. It can come to temperature in under 30-seconds and will automatically shut itself off after 9-minutes. It’s easy to use and can be programmed quickly using one of its two one-touch buttons. It has a 24-ounce water tank, a folding drip tray and comes with 14 Nespresso capsules. Best of all, it has a stylish design that looks good in just about any kitchen and doesn’t take up a whole lot of counter space. Picking out the best automatic espresso machine for your particular needs isn’t merely a case of finding the best models that are available. After all, you’re an individual and not every machine is going to be suitable for you. On the other hand, the machine that may be suitable for you may not be a good machine for someone else. You have to consider your individual needs. It can be hard to determine what you may need, however. You may think that you need a particular feature that you really don’t, or a particular feature may end up slipping your mind. That’s why we’ve gone ahead and included this guide on how to choose the best automatic machine for you. The first two things that need to be considered are whether you need a semi-automatic or a fully-automatic model. What’s the difference? Semi-automatic machines require some human interaction in order to brew the espresso. Fully-automatic models, on the other hand, require very little human interaction. 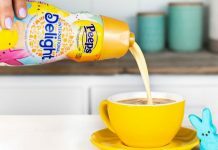 They can go from bean to cup with almost just a push of a button, or at least being close to that level of automation. After you’ve decided on whether you need a semi-automatic or full-automatic machine, it’s time to consider some of the other features you may need. Below are just some of the things to keep in mind. Cost is a big consideration for most people. Espresso machines are more inexpensive now than they’ve ever been but there are models that can cost over a thousand dollars. For some high-end models, the extra cost is because the machines are extremely reliable and use high-quality, and often expensive, components. For other machines, the higher cost may be just a reflection of the features they provide. Usually, the more features found on an automatic espresso machine, the higher the cost. As a consumer, you have to balance what you need the machine to do with its potential cost. 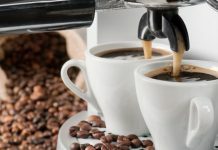 While a lot of the marketing surrounding automatic espresso makers will have you thinking that more bars of pressure will produce a better cup of coffee. However, that’s not necessarily the case. 19-bars of pressure doesn’t make any better coffee than 15-bars of pressure. Or for that matter, it doesn’t make better espresso than even 9-bars of pressure. Why is that? That’s because you only really need 9-bars of pressure to extract some of the flavors from the espresso grounds. Anything more than that is really unnecessary. When it comes to these machines, there are really only two different camps. There are machines that use capsules to make the espresso and some which use coffee grounds. And I think both models are pretty good. While this may be heretical among some coffee purists, I think that both of these models can produce a good espresso. Sure, if you want the highest quality espresso that you can make, then you are going to want to use espresso grounds and go through the trouble of making it. That’s a fact. But if you’re considering an automatic espresso machine, then most likely coffee quality isn’t your only consideration. You also want ease-of-use and practicality as well. Look, if you want the highest espresso possible, then you are not looking to buy an automatic machine. You are going to want to buy a fully manual one in which you can select all of the variables to fine-tune the best cup of coffee as possible. However, if you simply want a really good cup of espresso and not the perfect cup of coffee, then you can go with an automatic model and be perfectly happy with it. Some models have a coffee grinder built into them. If you want to grind your own coffee beans and don’t have a lot of available counter space, then these models can be a good choice. On the other hand, if you don’t plan on grinding your beans or already own a grinder, then this an important consideration. Built-in water filters are a feature that is being incorporated into espresso machines more and more these days. And there’s a good reason for it. Filtered water makes for better tasting coffee. Of course, you can easily use a separate water filter to clean your water before you add it to your machine. The choice is yours. Another important feature is how easy it is to clean the automatic espresso machine. The more features a machine offers, the more cleaning it usually requires. However, some machines have self-cleaning or descaling features that can simplify the process greatly. A lot of espresso drinks require the use of steamed milk, so if you intend on drinking those type of espresso drinks, then you have two options. You can buy a machine with a frothing wand built into it, or you can buy a separate frothing wand. However, if you don’t plan on using steamed milk at all, then you really don’t need it. A cup warmer is always a nice feature to have, but it isn’t necessary. If you feel like you need one, then buy one with a cup warmer. Or go ahead and buy a separate cup warmer. However, if you don’t need it, then don’t worry about it. The last thing to keep in mind is the size of the unit you intend on buying. There are machines which are compact and don’t take up a lot of space and then there are machines which are gigantic. And, of course, there’s a wide range of different sized devices in between these extremes. No matter what size you choose, just be sure you have the counter space to support it. Otherwise, you’re going to either have to buy it its own separate cart or get rid of some of your other appliances to make room for your automatic espresso maker.